Kia plans to expand its range of electrified models on a global scale. Artur Martins, Kia’s head of marketing for Europe, confirmed that a PHEV version of the Ceed Kombi is expected in the second half of 2019 and Kia may bring their Korean fuel cell car soon to other markets as well. The Ceed PHEV will then probably be based on the same drive train as the Niro PHEV, i.e. a 104 kW 1.6 litre petrol engine in combination with a 44.5 kW electric motor and an 8.4 kWh battery pack, Autocar reports. The new plug-in hybrid will roll off the assembly line at Kia’s plant in Slovakia. 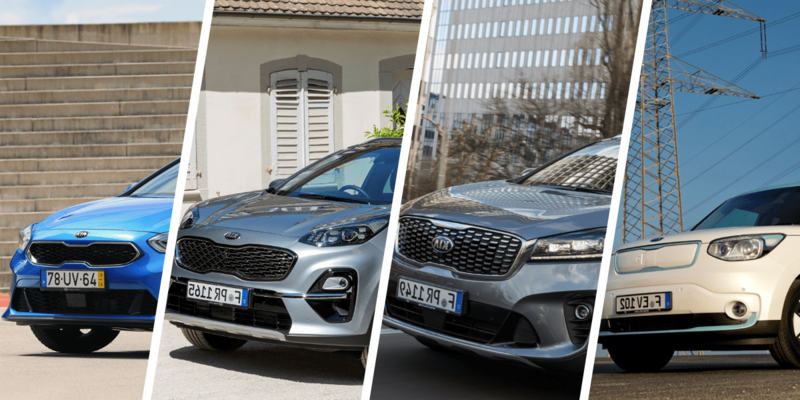 The Sportage and Sorento may also receive plug-in hybrid offshoots, according to the above report, while the existing Optima PHEV will be reissued. At the LA Auto Show, which starts at the end of November, the Koreans will also unveil the new Soul EV. The model is based on the same platform as the Kia Niro EV and the Hyundai Kona Electro and will be available in two battery versions with 39.2 and 64 kWh respectively. No other than the electric version of the Soul will be on offer in Europe. According to Martins, a Kia counterpart to Hyundai’s Nexo fuel cell model is also planned. Most probably the Sorento will receive a hydrogen-powered offshoot, writes Autocar and first rumours had already emerged almost a year ago. Kia already has a fuel cell car on offer in Korea, but not in Europe. Overall, the Korean alliance of Hyundai and Kia has announced a serious push of its electric car lineup with 14 new all-electric models to be expected by 2025. That is two cars per year strictly speaking, built on the Niro and Soul EVs.